Casey Krimmel is an illustrator and designer with a love for watercolor and ink pens. 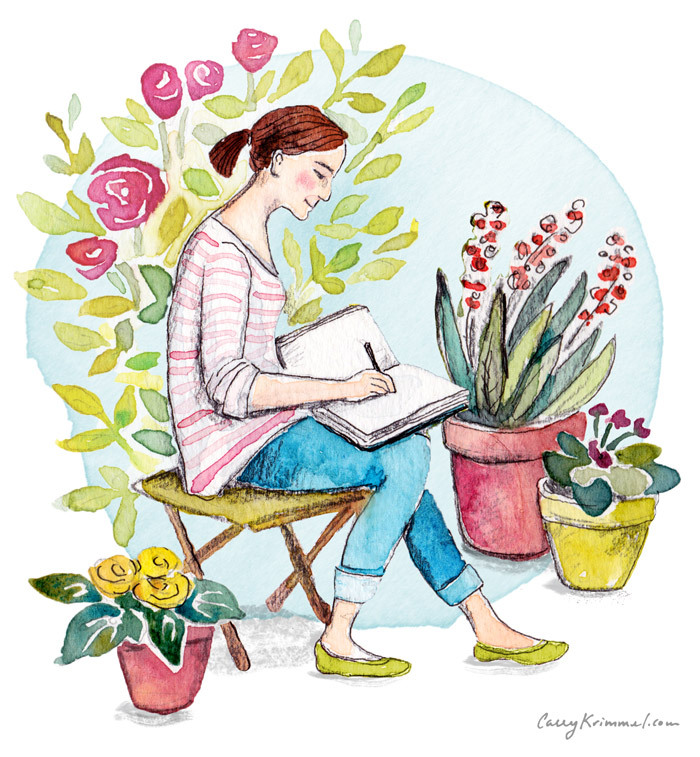 After graduating with a BFA in Visual Communications from Washington University in St. Louis, she returned to her native Oregon and worked for a number of years in web design before branching out into surface pattern design and art licensing. Her work has been described as elegant yet loose and she is inspired by nature, people watching, walks in her neighborhood, and funny stories. When not working she enjoys taking ballet and modern dance classes, planting things in the garden, exploring Portland’s food scene, travel, reading, and summer naps on the porch.